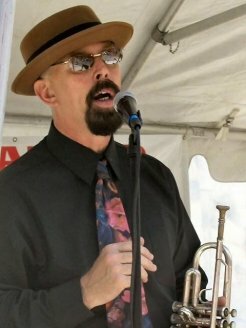 A veteran of Dixieland & Traditional New Orleans Jazz, he not only enchants the most discerning critic, he also has the ability to excite those who are not yet experienced veterans of this creative art form. Steamboat Willie is a music historian specializing in the 1920's era. One distinctive aspect of his trumpet and vocal trademark lies in reviving obscure tunes as well as old favorites in a traditional jazz manner.